Considering Skye’s wealth of local produce and my appetite for trying new flavours I really should have written more blog posts about the food up here. Perhaps the block has been because there’s so much to write… Where does one even start? Well, actually that’s just been made easy. 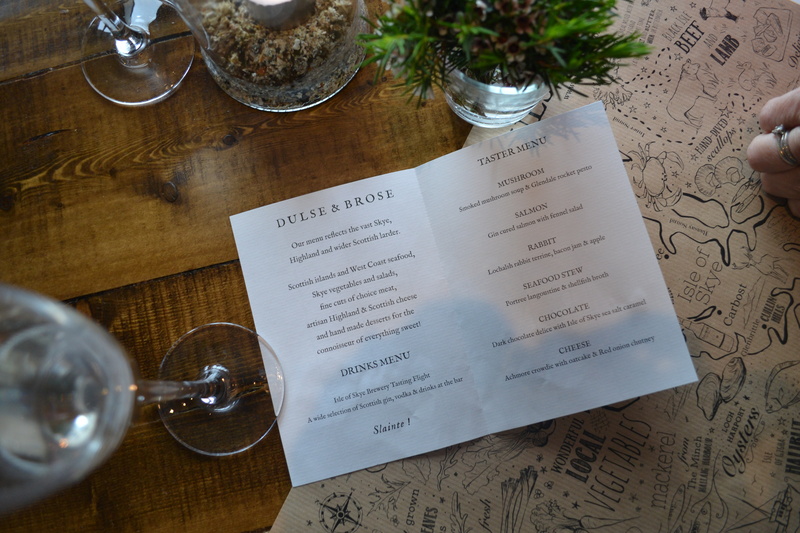 I’ll start with another start… the opening of the new restaurant, Dulse & Brose, at the Bosville Hotel in Portree. I was kindly invited along to the event by Tim Hunter-Davies whose PR firm was running the evening. Whilst I’ve been to lots of launch parties in London, this was the first night of this kind that I’ve been to in Skye and I wasn’t quite sure what to expect. I must admit that I’m always slightly wary of places that have been refurbed and given a ‘concept’. They often turn out to be somewhere where you sit on cold modular leather furnishings whilst being offered unappetising little jellies and foams inspired by the chefs late discovery of the molecular gastronomy trend. Skye’s fine dining comes in more than one type: there’s the try-hard-but-miss ones (as described above); the lazy ones that don’t try because they cater for one-off tourist bookings; and the spot-on destination restaurants. The venue was already full when I hurried in to escape the downpour. I looked around at the crowd. But it was nice to see some familiar faces such as Mitchell Partridge of Skye Ghillie with his lovely wife Samantha, Mina and Chris from Skye Sea Salt, Marcello Tully from Kinloch Lodge and the boys from Skye Adventure, John and Matt. 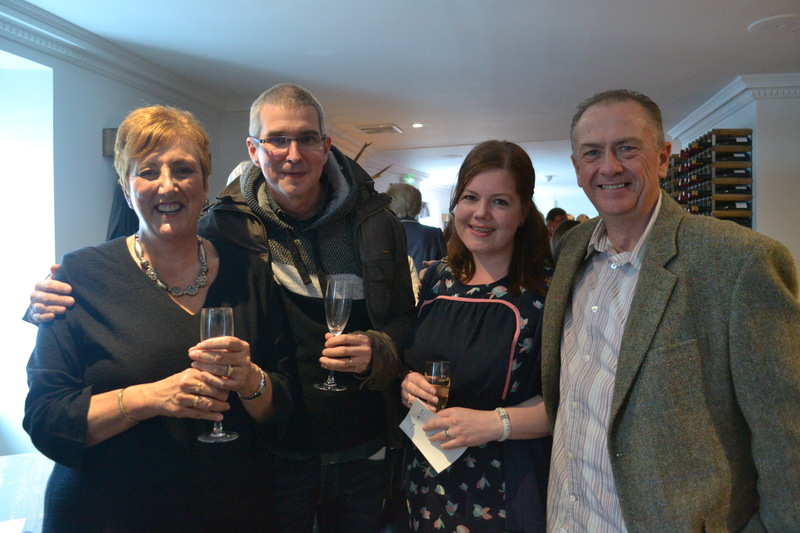 It was also really lovely to catch up with Paul and Mags from The Oyster Shed and Karen and Colin from Lochshore House in Edinbane (who I’ve been bumping into on Skye consistently since my very first day here!). One of the nice things about Skye is that it’s not short of friendly or interesting people -these four are both. Strangely enough, at this event I met a lot of people who I’d interacted with via Twitter and my Facebook pages but who I’ve never met face-to-face before (including a number of the Hunter-Davies team). A strange success for online networking and finally a positive excuse for spending so much time on the internet! The food was a taster selection of canapes representing dishes from the main menu. I watched them glide past on huge white serving dishes like flying saucers whilst I chit-chatted hello to various familiar faces. It must have been about half an hour before the conversation paused for long enough for me to try anything. I plucked a little cup from a passing platter. Mushroom soup. Soup isn’t something I’ve ever been interested in but I wanted to try a bit of everything tonight, this included. I’m pleased I did, it was delicious. I’m not quite sure how the kitchen managed to get such a lot of flavour into a little serving of speckled taupe liquid. It was velvety and rich in umami with a cheesy, almost truffle-y garnish. I’ve never ordered soup from a menu before but I’ll definitely have this when I come back here. I’d also be interested to see how well it works in a larger portion. A terrine made from Kyle rabbit with apple and jam on crisp toasts was equally tasty. The meat was seasoned well (I think rabbit err on the bland) and the puree was sweet but acidic enough to counter the gaminess. Well done D&B; two out of two. Those first two tasters were my favourites but the rest were also good. 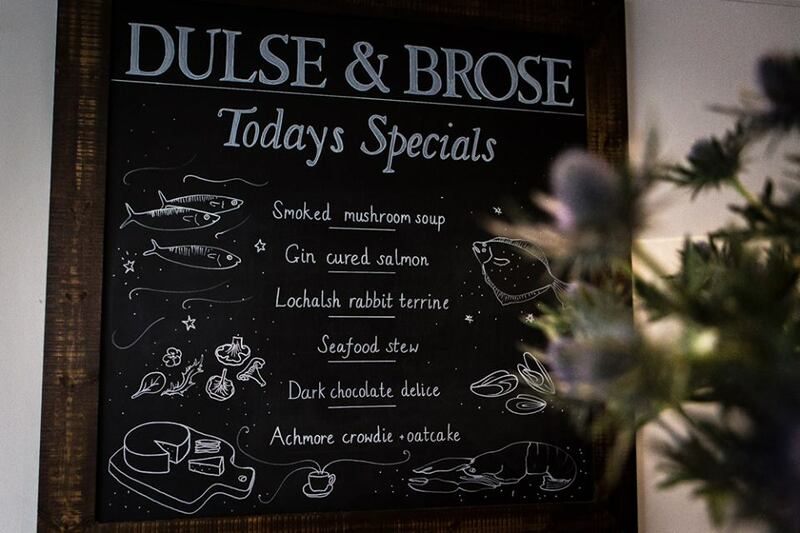 The menu takes inspiration from Skye’s world-class produce and treats it with simplicity and respect. It’s something that I’ve noticed a lot of new places try but fail at; they complicate things with technique and the original ingredients become lost. The source of each ingredient is stressed on every printed placemat or menu leaflet. For once it’s not just lip service to the importance of provenance. As for the style/atmosphere of the place itself? It was exactly how interior design should be done on Skye; contemporary but warm. Clean lines and minimalist design can be lovely but this is an island where you want a cosy place to retreat to on a dreicht day and stark modernism doesn’t usually provide that. The rough wood and earthen tweeds were stylish but in a comfy, casual way. Skye arts and crafts line the rustic boxy shelves. Like the menu it’s a nice commitment to local artisans. Even the upholstery was made by Skyeweavers, a local couple who weave tweeds in their workshop on a foot-pedalled loom. It was a generous evening; the canapes didn’t stop and champagne flowed freely. The live music was a nice touch and the atmosphere was relaxed. Top marks all round. 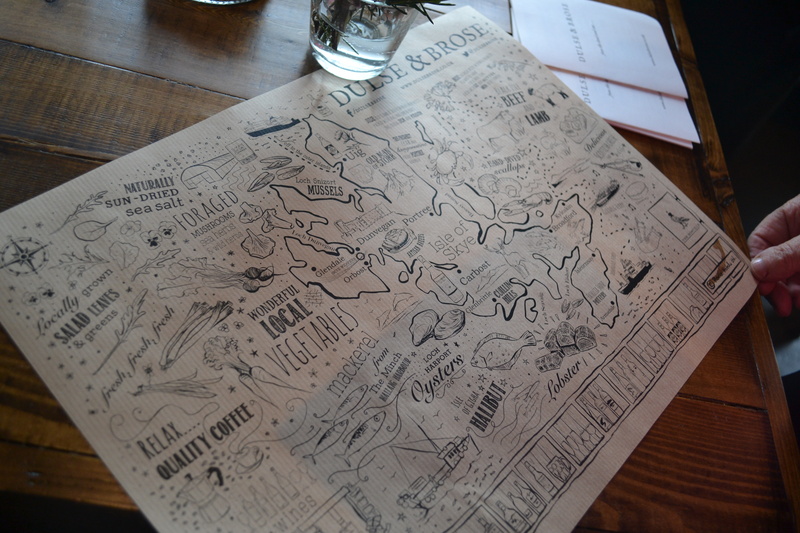 Once the evening had drawn to a close I sat in my car and unfolded the menu from my pocket. Within seconds I’d decided what I wanted to come back and try. I also decided what I’d have on my second visit. As I neared the top of the island I remembered a text from my landlady about long finned pilot whales still in Staffin Bay. Although past 10:30pm it was still light. If they were still there I should be able to see them. I pulled off the road and went down to Staffin Slipway. A glance from a few viewpoints. Nothing. They’d left. Back on the main road I picked up speed and then… what was that? Something splashing close to shore. Not gone! Almost missing the turning I swerved onto the track for Brogaig car park, crunched to a halt and jumped out. 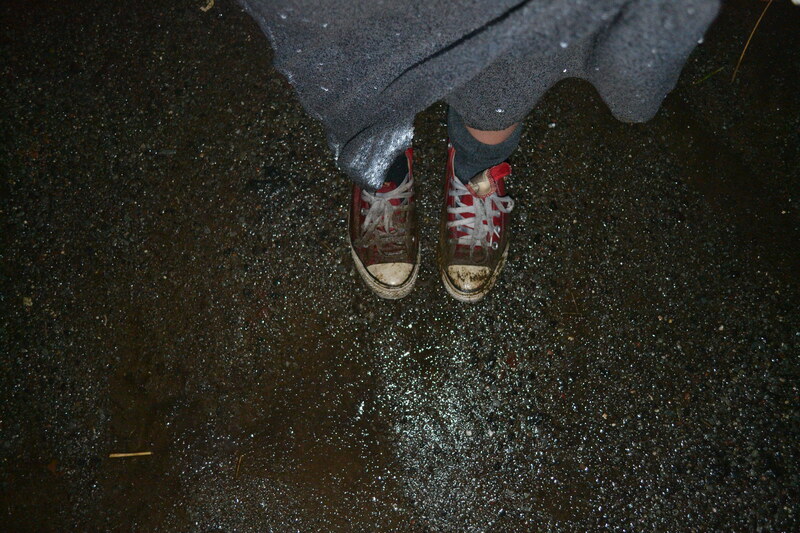 It turns out, unsurprisingly, that long sequinned skirts and canvas sneakers aren’t the best items of clothing in which to tackle a boggy path after a month of constant Hebridean drizzle. Down on the beach the whales were still slightly too far away to be seen properly. I took my shoes and socks off to wade out but the beach was still too shallow to get much of a view, even when I found a rock to perch on for height. It started to rain (again) so I pulled my hood on and fastened my coat right to the top. 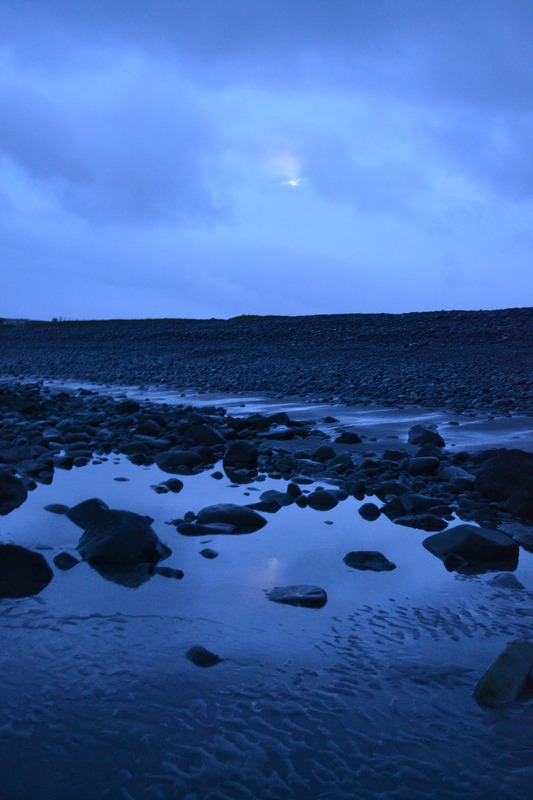 Despite not being able to see the whales well I enjoyed how surreally special it felt to be standing bare-legged alone on a rock in the ocean in the drizzle in the wee hours. 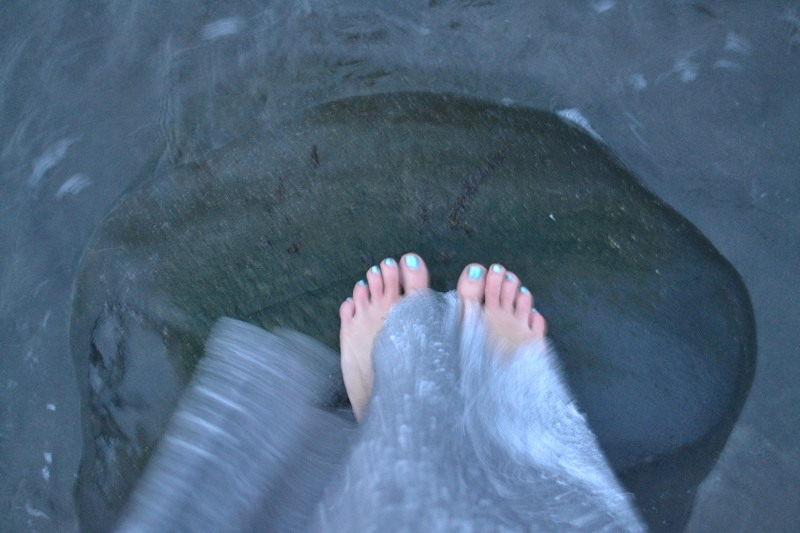 It was nice to just stand there listening to the fat water droplets hit the sea water around my feet. In front of me I noticed some creatures surfing the breakers; left and right, back and forth. Very large and curious seals I guessed. I dismissed the urge to wade out further to get a closer look: when you’re alone common sense must prevail over adventure; the chance of getting too cold or caught out by a current isn’t worth the risk. Not being able to swim in cold water when and where I want is one of the few things that frustrates me about being up here alone. 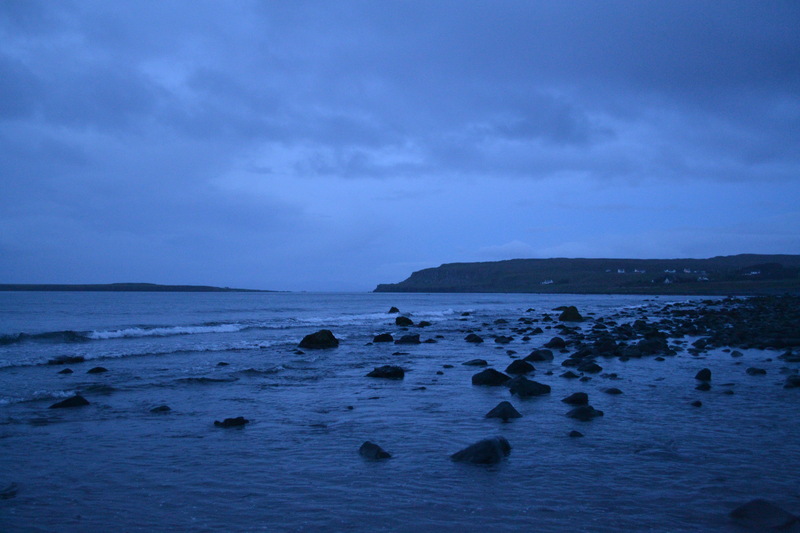 As the light finally began to dim I started shivering and it was time to trudge back up to the car. I walked through my door leaving my socks and sneakers in a gritty, sodden pile on the doormat. 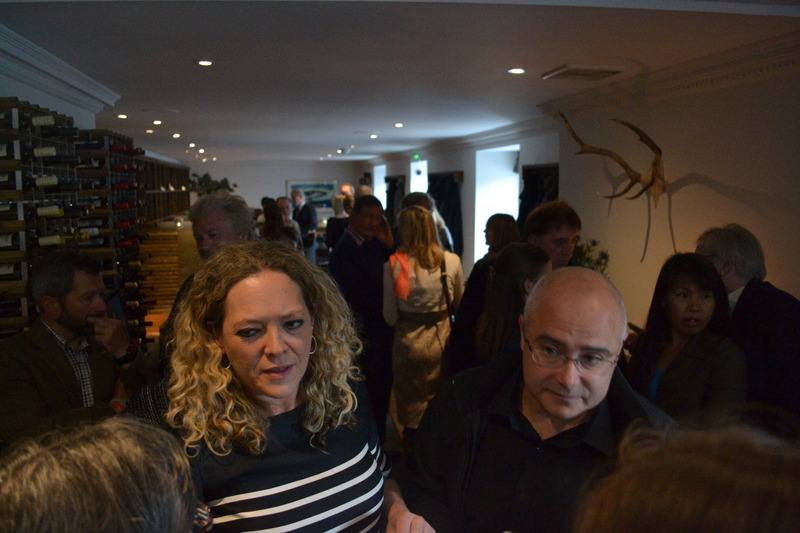 This entry was tagged Bosville, Canapes, Chef, cold, Drinks, drive, Dulse & Brose, Dulse and Brose, evening, Event, Food, Foodie, friends, Hotel, Interiors, Launch, night, ocean, Opening, Party, Portree, Restaurant, Review, Shore, Skye, Swimming, Water, Whales. Bookmark the permalink. Wow can’t believe you were there with the whales! I remember trying out the Bosville when it reinvented itself in 03/04 – so good to see Skye folk geniunely pushing local produce instead of trying to recreate Glasgow or London! Yet another fantastic post Katie, very inspiring. Having visited Skye many times in the last few years i almost feel myself that it’s like my second home now, and hopefully soon it can be. Your blogg reminds me constantly of why i love the Island so much and of the characters who live there. It always seems, especially in that last post that you’re in the right place at the right time to get the full island experience. I saw on FB that you were heavily involved in the Whale rescue last week, and i must give you a huge well done for your efforts in managing to save those that you did. I look forward to your next post and your continuing adventures on the island….and maybe one day i’ll be able to have some of the same there for myself.